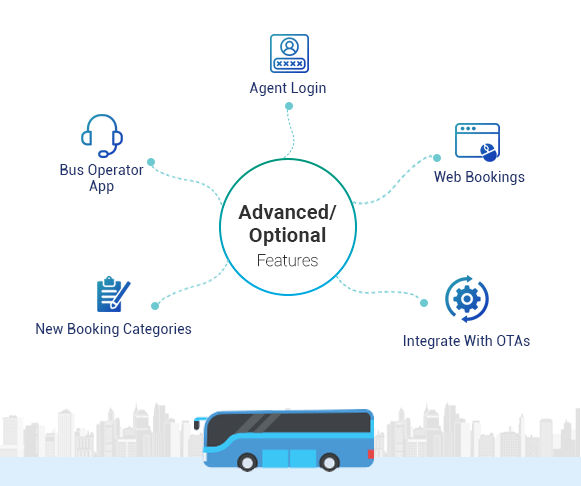 A fully customizable bus booking app and ticketing system for bus operators to automate operations, get more direct bookings, increase brand recall and improve revenues. A mobile first online bus booking system to power bus booking operations for all kinds of businesses from private bus operators to bus aggregators like redBus. Bus operators can greatly benefit from launching their own bus booking app like redBus to grow their business. 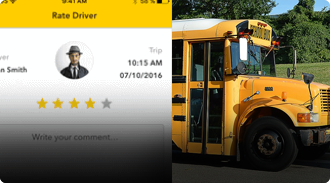 Bring multiple bus operators on a single mobile app platform and manage everything from a central dashboard. Travel agencies can launch a bus booking app solution along with a robust bus ticketing management system. 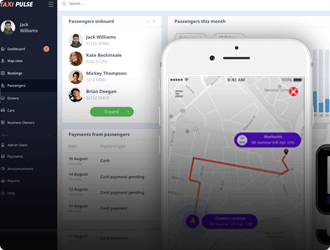 A feature-packed bus booking software and ticketing management system to seamlessly manage your drivers, vehicles, bookings, payments, promotions and more. Manage all aspects of the bus ticketing system from a powerful web-based panel. 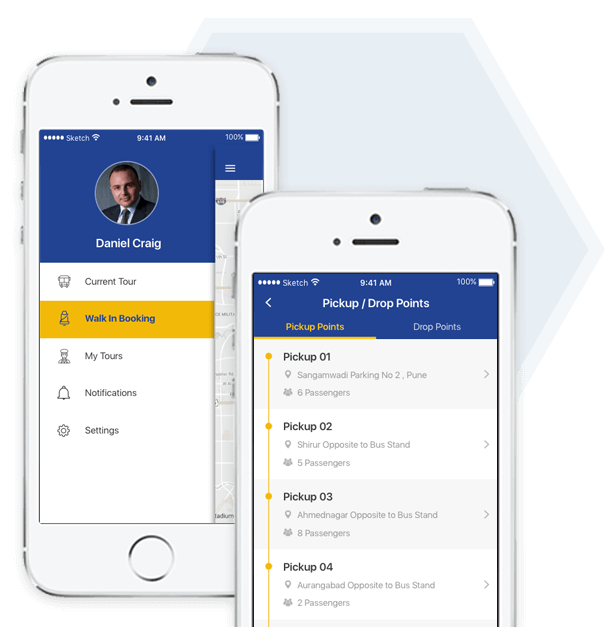 Create and manage routes, add pickup and drop points, schedules and other details. Keep a stock of the available buses, seat layout, bus types, tariff rules and more. Real-time tracking of the bus fleet with the bus tracking feature in the driver app. Add and manage drivers, assign trips, track performance, feedback, payments, etc. 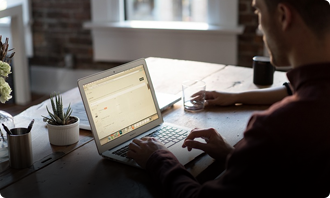 Assign roles to multiple operators to manage manual bookings and improve efficiency. 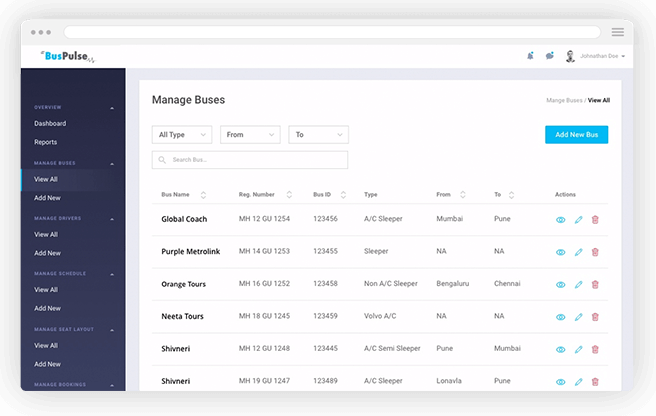 View and manage all the bus ticket bookings from a dedicated section in the panel. Get a comprehensive database of all the customers and update their data anytime. Offer targeted discounts, deals and promo codes to loyal customers for marketing. Configure notification settings and alerts for push, email and SMS channels. Set a payment account and keep a track of all the payments through transactional history. View and respond to customer feedback and proactively improve your bus services. Get useful insights and reports to aid in data-driven decision making for operations. Your customers get a branded redBus like bus ticket booking experience with native apps for both iOS & Android. Customers get fully branded iOS & Android apps for seamless bus ticket bookings. From a branded splash screen to the app design, everything is customizable. Getting started with the app is quick and easy with multiple login and signup options. Enter start and end destinations and provide travel date to view available bus options. Key details like bus type, fare, timings, ratings, availability and more in a single view. Filters for bus type, ratings, trip duration, arrival-departure times, pricing, amenities, etc. Sort listings by ratings, trip duration, arrival-departure time, pricing, etc. View bus amenities like charging points, live tracking option, bus images, television, etc. Intuitive seal selection process with real-time fare display, one tap to clear and more. Seamless booking flow to make a bus reservation with an easy to understand process. View and manage all upcoming reservations from a dedicated menu and take relevant actions. Customers receive all booking related alerts via push, email and SMS to stay up to date. Customers can share their bus booking and travel experience through ratings and reviews. Easy access to customer support details for user queries, T&C, FAQs and more. Track a bus in real-time on a map to help with safety, optimize routes and more. An up to date passenger list for bus drivers or conductor to use for checking tickets. All necessary details provided to drivers and conductors for seamless journey. Quickly notify the admin and relevant authorities in case of any emergency enroute. Add an agent booking channel to get more customers and manage their commissions. Launch an online bus booking website along the mobile apps to maximize reach. 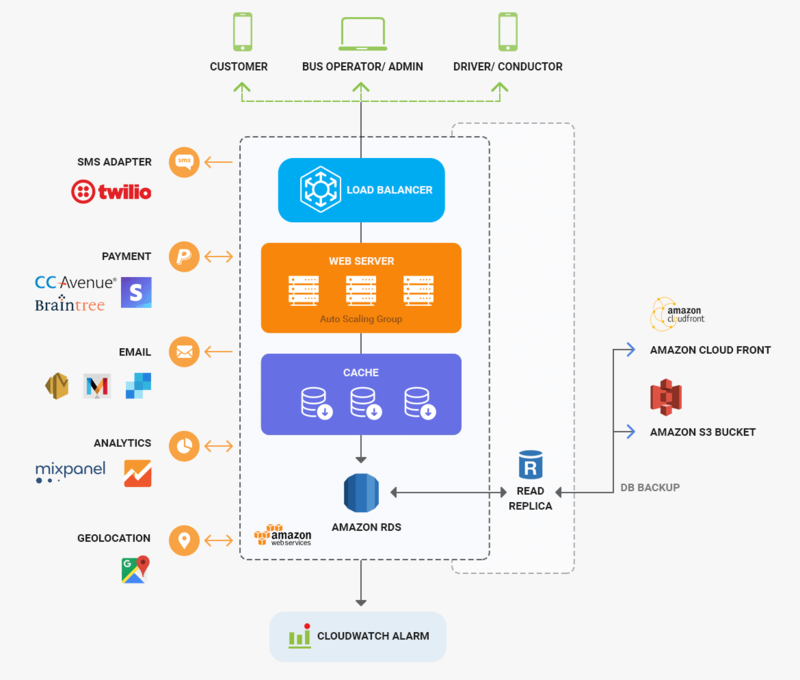 Expose bus inventory to popular travel booking portals and apps with APIs. Add hotel bookings and other features as the app grows in popularity. 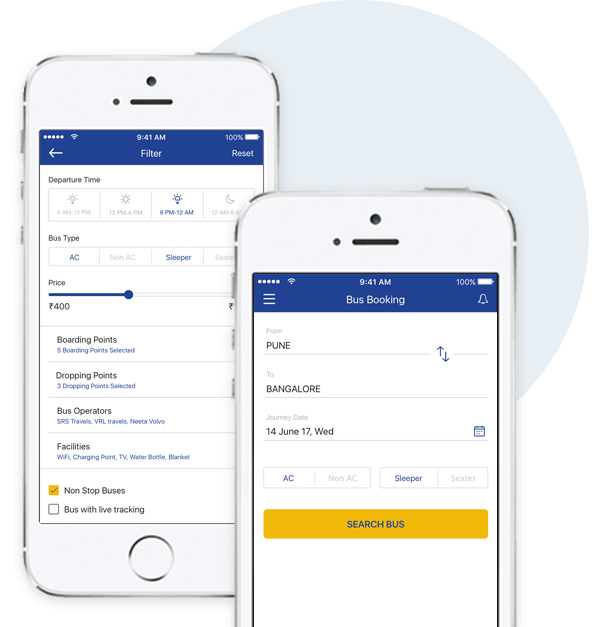 Manage your bus bookings and reservations on the go with an optional bus operator app. Bus operators and travel agencies can completely transform their bus ticketing operations with a custom-built and branded bus booking app like redBus, bus tracking app for the fleet and a powerful admin panel to manage the entire business. 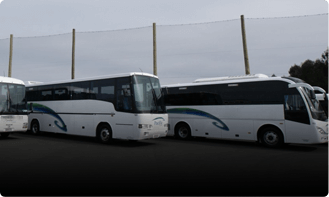 Why Choose Our Bus Booking App & Software Solution? Our solution is tailored to the unique needs of bus operators and packed with powerful features and integrations. Our bus ticket reservation system is flexible enough to meet the specific needs of bus operators. The time to market and cost of implementation is significantly lower compared to starting from scratch. 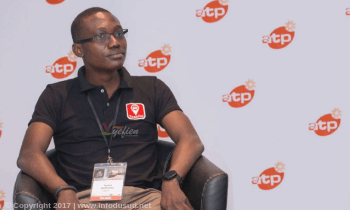 The solution offers a highly scalable and reliable bus ticketing experience for customers. Ticketing can be made available on aggregator apps and services, new software integrations and more. Multi-currency and language support enables bus operators across the globe to deploy our solution. Our design team has thoughtfully created intuitive touch points for all the stakeholders involved. 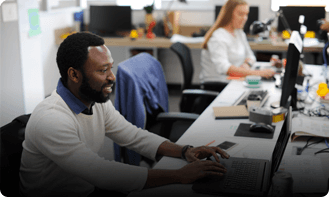 We offer a dedicated team to help our clients with an end-to-end solution to deploy the bus booking software. We support all popular payment gateways with the option to integrate new ones as per the business requirements. Bus businesses can leverage the analytics engine used in the system to make data-driven decisions. 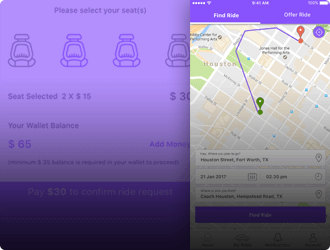 Launch a branded shuttle service app to bring affordable and reliable shared mobility services to commuters. 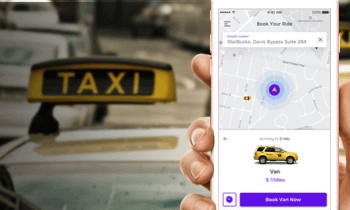 Why Should Taxi Businesses Invest In Taxi App Development? Absolutely. The solution supports both single and multi-operator business models so you can also build a bus aggregator app platform like redBus. Yes. The passenger and driver apps will be branded and white labeled as per your business needs. We already have a base solution ready for bus operators with booking apps and a powerful web-based admin panel. Based on your specific requirements for additional features and integrations, the time will increase. To know more, please drop us a quick inquiry and we will get back to you shortly. 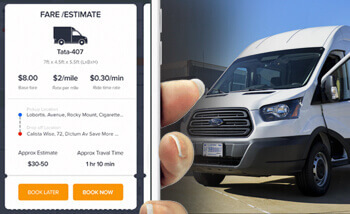 Please drop us a quick inquiry through the contact form and our bus app development team will get back to you shortly with a cost estimate based on your business requirements.